Showing you 12 Waterproof Mobiles prices in Pakistan. PriceOye helps you find the lowest online prices of all mobile phones sold in Pakistan. Apple finally attained the IP68 rating for dust and water resistance with its 2018 flagships including iPhone XS Max. This phone can survive in up to 2m deep water for 30 minutes. Apple finally attained the IP68 rating for dust and water resistance with its 2018 flagships including iPhone XS. This phone can survive in up to 2m deep water for 30 minutes. Huawei Mate 20 Pro is no different from the above two phones. This phone also comes with IP68 rating for dust and water resistance, means diving deep into 2m of water for as long as 30 minutes of time will not be of any concern for this phone. Huawei P30 Pro is the first ever P series phone from Huawei that comes with IP68 dust and water resistance rating. This phone can survive up to 2m of water for 30 straight minutes. Samsung Galaxy S10 Plus comes with IP68 rating for dust and water resistance which means that this phone can survive in 1.5m deep water for as long as 30 minutes. Samsung Galaxy S10 also comes with IP68 rating for dust and water resistance which means that this phone can survive in 1.5m deep water for as long as 30 minutes. Like the other two variants of Galaxy S10 family, the smallest S10e also comes with IP68 rating for dust and water resistance which means that this phone can survive in 1.5m deep water for as long as 30 minutes. Like every other flagship from Samsung, Galaxy Note 9 also comes with IP68 rating for dust and water resistance which means that this phone can survive in 1.5m deep water for as long as 30 minutes. Samsung Galaxy S9 Plus was launched in March 2018. This phone has got the IP68 rating for dust and water resistance which means that this phone can survive in 1.5m deep water for as long as 30 minutes. 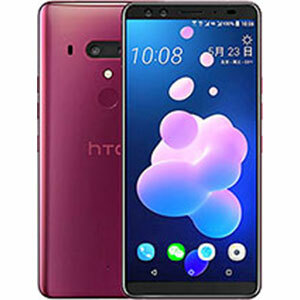 HTC U12 Plus, the flagship from HTC is IP68 dust and water resistant which means that this phone can survive in 1.5m deep water for as long as 30 minutes. 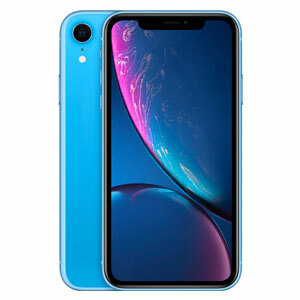 In order to cut more cost for iPhone XR, Apple attained the usual IP67 dust and water resistant rating for iPhone XR. This implies that iPhone XR can survive up to 1m of water for 30 minutes. Huawei P30 comes with IP53 rating for dust and splash protection. Which means this phone is not technically water resistant and has no rating which can certify this either.